A cloud solution is ideal for small and medium enterprises that are experiencing sustained growth, and to keep it; is necessary to improve the way we work: taking control of the business, having real-time visibility of your entire operation through control panels for easy interpretation to make better decisions, make the most of the strengths, That on which really you are good, unique and sets you apart from your competition, and finally, strengthening the capacity of your people, it's time to turn your people from typists to business analysts. 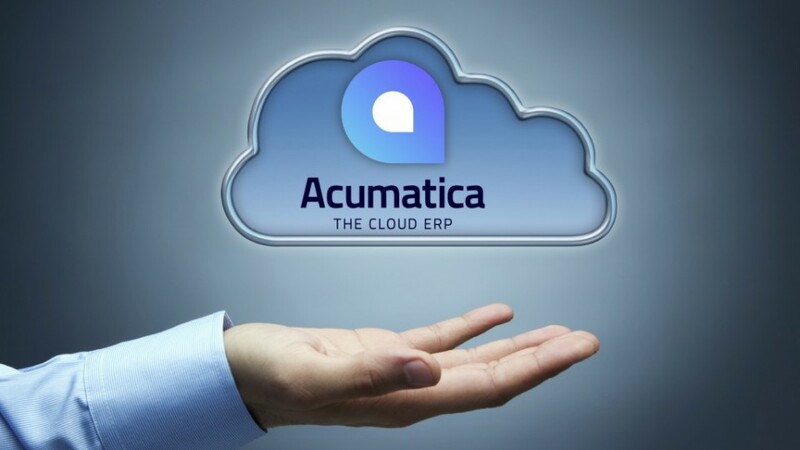 Acumatica, founded since 2008, the technology provider that develops adaptable cloud- and browser-based enterprise resource planning (ERP) software designed to improve productivity of small and medium-sized businesses (SMBs). The company is headquartered in the Seattle metropolitan area and has a number of satellite offices around the globe. Successful companies know the value of having visibility and control over their business. 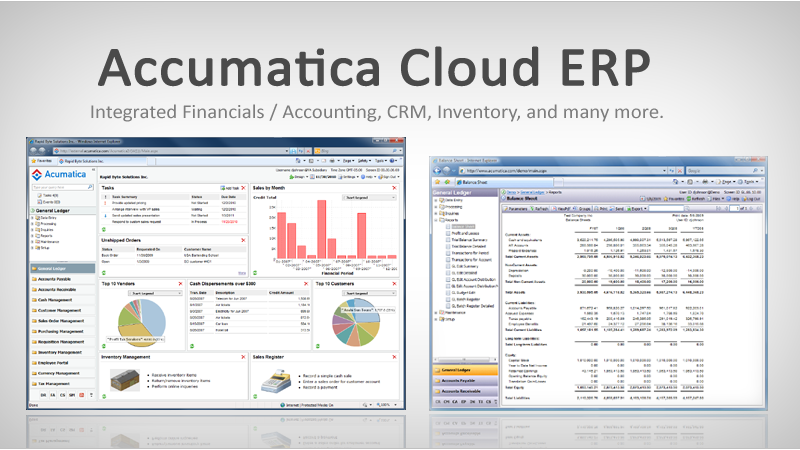 Acumatica Cloud ERP enables you to drive growth, manage costs, and be productive. 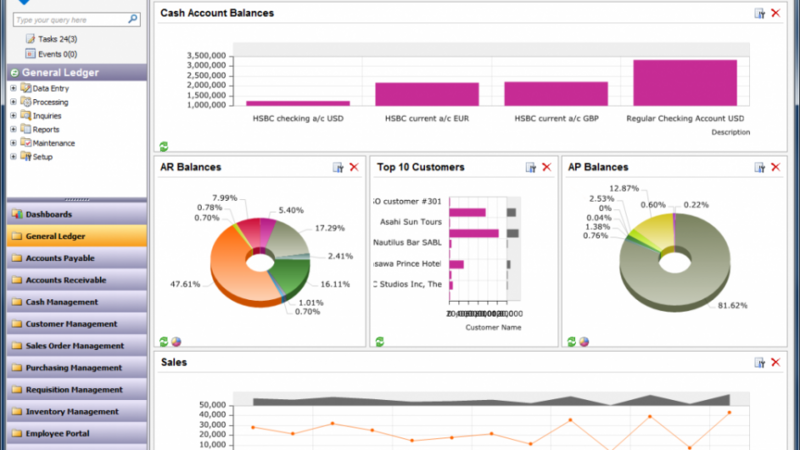 Acumatica Financial Suite of ERP in the cloud, including a set of financial modules used by all organizations; multi-company, multi-language, multi-user and multi-currency. Finance Acumatica cloud ERP are designed for companies with basic or complex needs, processing, analysis, reporting, operation and security of information. The CRM suite Acumatica Cloud ERP, provides a robust platform for managing the relationship with your clients, from contacts, new opportunities, business accounts, after sales and your marketing campaigns. Fully integrated with the Finance Suite content management and foster a team approach and deliver a single consolidated view of all customer contacts. Dashboards and reports Provide Real-time sales data to Accurately manage Forecasts, quotas, and results. The Customer Management Suite Provides a solution to Efficiently work and Communicate with customers through the Acumatica Customer Portal. Helpful tools enable customers to see all the Relevant information about Their interaction and perform online activities. You know how to manage fixed assets, Acumatica’s Fixed Assets Management module just makes it easy to do. The Fixed Assets module provides complete visibility into your assets and depreciation calculations. Using this module you can add fixed assets from AP purchases, import them from a file, or add them individually. Depreciation schedules are automatically created and detailed reports are available. Designed for businesses with simple to sophisticated payroll requirements, Acumatica’s payroll software delivers pay to employees via check or direct deposit while simplifying payroll setup, processing, and reporting. Acumatica Payroll gives you the flexibility to determine whether you want to distribute payroll to a simple default set of GL accounts or to multiple GL accounts based on criteria such as branch, department, location, employee class position, union or earnings codes, tax codes, deduction, or benefit codes. Our distribution software integrates with our financial modules to provide reports profitability per store, product line, location and business unit. Integration with CRM ensures that your entire organization, from sales, and post sales support, have visibility into their distribution processes. The Project Accounting Software Suite manages budgeting, inventory, time sheets, billing, profitability, and reporting for individual business initiatives. You create projects that are included in company-wide financial reports. Project Accounting Software features are integrated with the general ledger, accounts payable, accounts receivable, sales orders, purchase orders, inventory management, and the employee portal. With Acumatica’s Inter-Company Accounting module, you can track financials and create reports separately for an unlimited number of related companies within your organization. Related companies share chart of accounts, calendar, currency, and non-financial data. Related companies may also be referred to as “branches”. Manufacturing Suite is a flexible software solution that supports multiple types of production environments, keeps you in control with real-time visibility and communication tools—just what you should expect in a feature-rich, end-to-end manufacturing solution. FusionWMS simplifies, streamlines and enhances Acumatica’s out of the box processes. Its, intuitive user interface allows direct access to Acumatica functionality from anywhere there is an internet connection without logging into Acumatica – no duplicate data base, no syncing of data. Flexible hardware requirements include virtually any Windows CE device. With Acumatica Service Management we can help you streamline, reduce response times and costs, and improve first-time ratios, resulting in increased revenues and customer satisfaction that ultimately give you a competitive advantage. Property Management System is a comprehensive private and commercial property management software solution designed specifically to help today’s Real Estate organizations work more efficiently and effectively.